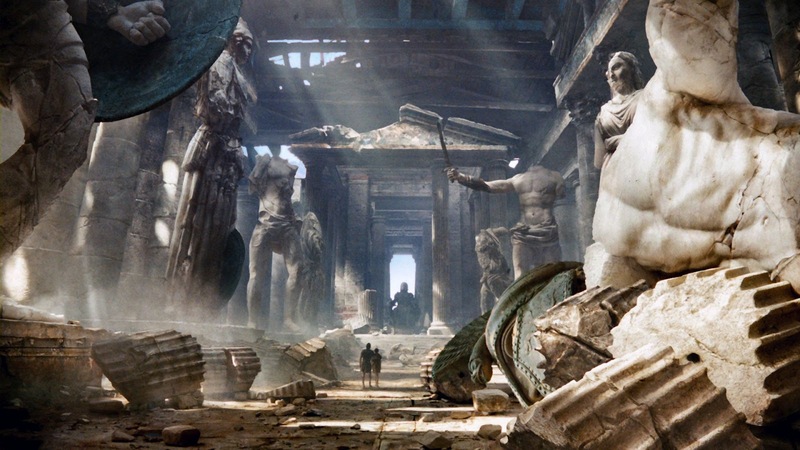 In “Wrath of the Titans,” the Gods have all grown weak from humanity’s growing lack of faith, and with their power reduced, they struggle to keep Kronos and the other Titans imprisoned. Many of the Gods have died, and fearing the same fate, Hades (Ralph Fiennes) and Ares (Edgar Ramirez) team up to capture and sacrifice Zeus (Liam Neeson) to Kronos in exchange for immortality. 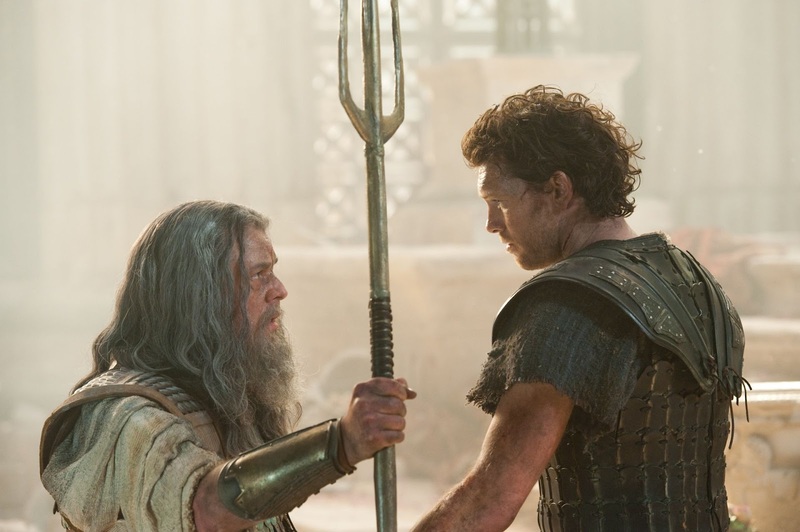 Zeus’ half-human son Perseus (Sam Worthington) – now living a quiet fisherman’s life with his own son – must come out of retirement to save his father and stop Kronos from reigning destruction on humanity. I actually think it’s an interesting premise that, with better execution, could make some salient thematic points about faith and doubt. 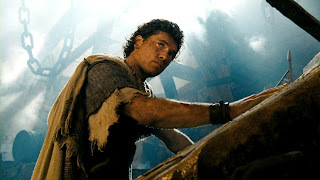 As it stands, though, the script is pretty messy, often lacking narrative clarity and displaying some distracting misunderstandings of Greek mythology. The dialogue is perfunctory at best and grating at worst, while the shoddy attempts at character development are only a small step up from the first film. I suppose I wound up caring about Perseus, Zeus, and Hades this time around, but that’s only because Worthington, Neeson, and Fiennes are strong screen presences confident in their roles. As a story, “Wrath” isn’t substantially better than “Clash” in any notable way. But Liebesman has found visual and tonal ways to elevate the material, primarily by crafting a strong, engaging sense of atmosphere. The world of “Wrath” is a bitter, barren, dirty one, for humans and Gods alike; hope has been completely sapped away on both sides, and death is a constant presence for everybody, even when bodies aren’t dropping in battle. It’s a smart, unique tonal choice, and while it doesn’t equate to meaningful thematic dividends, it does at least lend weight to the proceedings. The action set-pieces work as well as they do because they stem organically from this tone; whenever Perseus steps up to fight a new monster, the battle is brutal and visceral, won painfully, not triumphantly, and only by a matter of inches. From start to finish, the visual palette used to create this atmosphere is simply stunning: the gritty cinematography makes the settings feel effectively murky and dangerous, and 3D is spectacularly deployed to immerse and envelop the viewer without sacrificing visual clarity (and this is coming from someone who usually hates 3D). 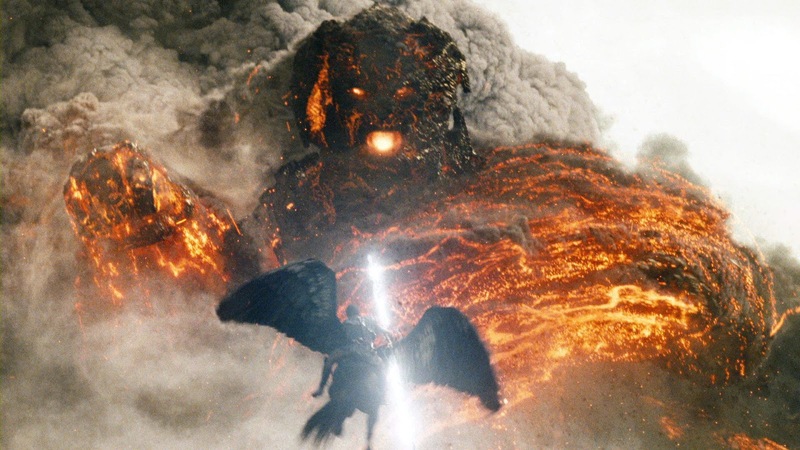 The end result is a film with a stirring sense of scope and scale; the monsters are awe-inspiring in their size and menace, the stakes are well-established, and the conflict – particularly in the excellent, go-for-broke third act – feels properly epic. 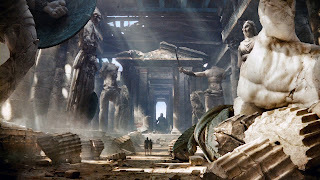 Without a memorable story, consistent pacing, compelling characters, or any coherent message, I wouldn’t call “Wrath of the Titans” a ‘good’ movie, but for what it is, it’s fun, and that will be enough for many viewers, especially those turned off by the “Clash” remake.